Please find enclosed a cheque for £330.00. We are so pleased with all the work you have done, it looks really lovely. Hope you all had a lovely time in Lapland, I'm sure it was wonderful. Thanks again – as soon as we have our plans drawn up, I will give you a call. Very many thanks for my smart shining house. I am amazed that you transformed it so quickly. I had anticipated it would take for longer, I am delighted with the work. Please find enclosed a cheque for £500.00 as a final stage payment for work done on our conservatory, we are delighted with the end result. Perhaps you would return receipt for the above. I am so grateful that you did what you said you were going to do – when you said you were going to do it! Please call in sometime when you are down this way let us know and my wife will make you a nice cup of tea. 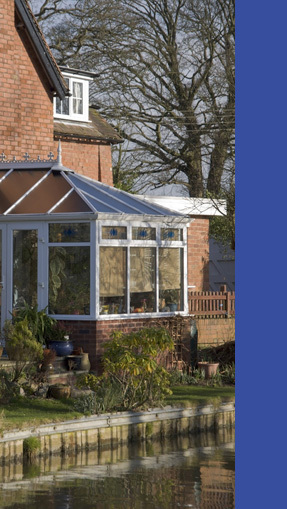 We are very pleased with the conservatory, it looks really good, the window and door are fine and all works perfectly. Please would you pass on our thanks to your great support team, for all their hard work – all excellent. Their skills are much appreciated. We admire the way you work together so willingly. Thanks for all your help. We are very satisfied with all of the work the clean site and turning up as promised! Needham Home Improvements is a partnership between Andrew Needham and Sacha Needham.